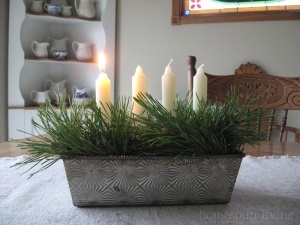 What To Do With Old Loaf Pans? 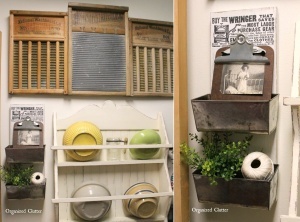 Carlene at Organized Clutter created these wonderful wall display bins by fixing two old loaf pans on a graphic transfer method printed board. 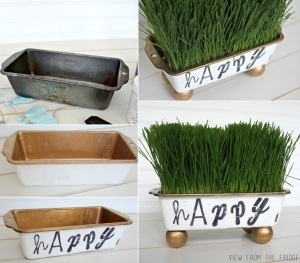 Katie Stahl at My Crafty Spot spray painted an old bread pan with gold paint from inside and white paint from outside. Then she attached round wooden balls painted gold to form the legs. 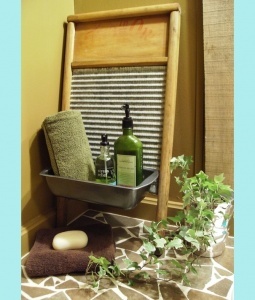 She drilled holes in the pan and then planted it with wheat grass. 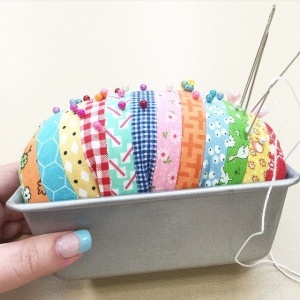 beelori1 a user at instagram has shared a pincushion created in a bread pan. 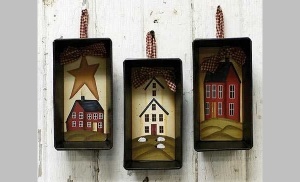 To give it a fun look, the pincushion is designed in the form of bread slices using a cornucopia of printed fabrics. Amy J at Amy J Delightful has shared a pictorial tour of her home office space. 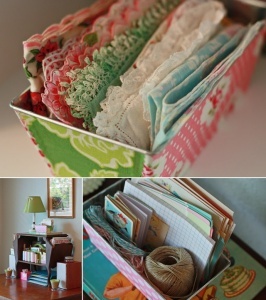 For the purpose of organizing fabrics, cards and other small stuff she has covered an old loaf pan with fabrics in cool prints and has turned it into a wonderful organizer that goes amazingly well with the rest of the decor of her work space. 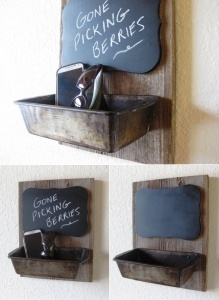 Etsy Shop Phlox River Studio has created this fun and practical chalkboard organizer that is awesome to hang in an entryway to drop your glasses and keys and to write any message for your family members before you leave for an element of fun or you can also write the list of things you need to bring or do while going out. 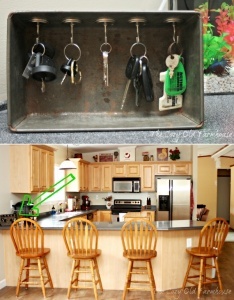 Stephanie at The Cozy Old Farmhouse has shared the complete look of her kitchen where she has re-purposed an old bread tin into a practical key holder by adding hooks. 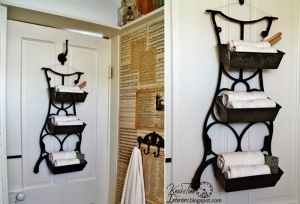 Angie Chavez at Knick of Time has recycled a sewing machine leg and attached three old bread pans and now they serve as a wonderful storage for towels in her bathroom. This is what we call a true example of a creation that is trash to treasure.